Ram Jam Featuring CMT Artists to Watch Announced! 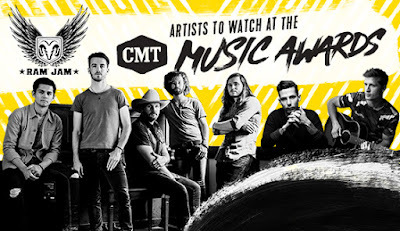 Ram Jam presents Artists to Watch at the CMT Music Awards featuring performances by Devin Dawson, LANCO, and Walker Hayes! You must register for a chance to attend this event that will take place on Monday, June 4, 2018 at Topgolf located at 500 Cowan St in Nashville. Time and location to be announced. Register here for your chance to attend!